Divine apples are oblong and medium in size. The smooth skin is yellow with striping and speckling of bright red and deep red hues. 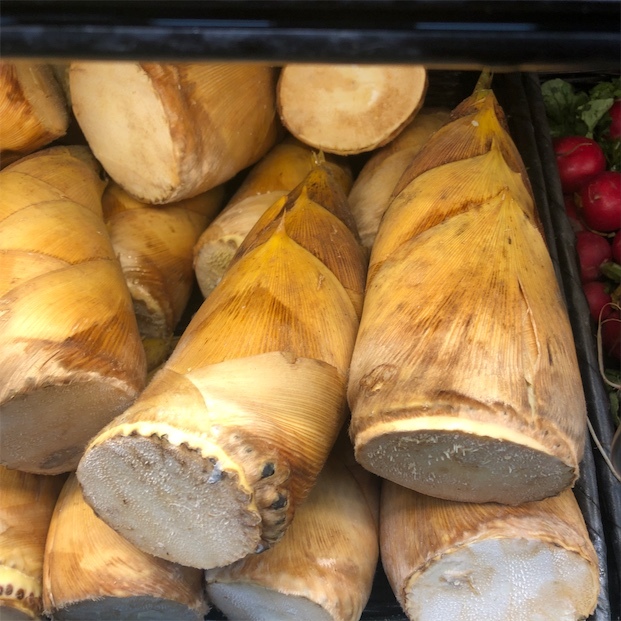 The flesh is pale cream to white and has a moist and firm consistency. There is also a tough, central core running the length of the fruit with a few dark brown seeds encased in a star pattern when the fruit is sliced in half. 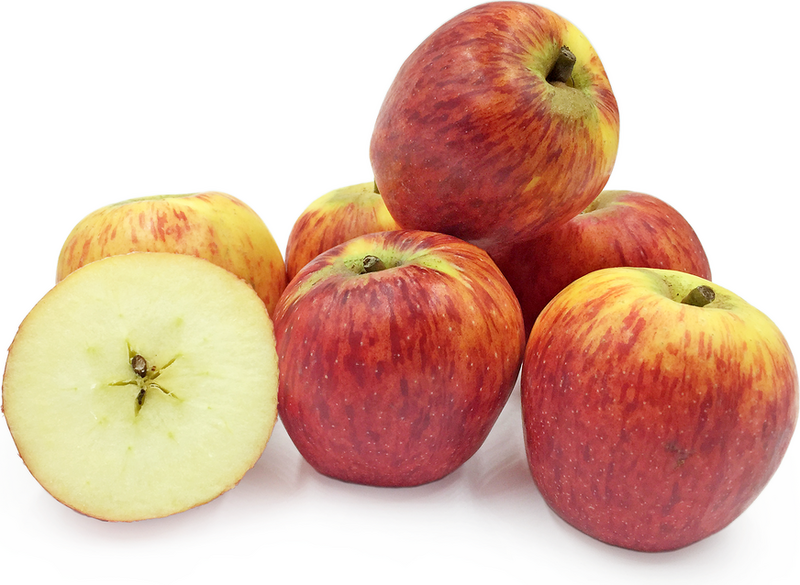 Divine apples are crunchy and juicy with sweet flavors and moderate acidity. Divine apples are available in the late spring through fall. Divine apples is a variety of Malus domestica that is a cross of golden delicious, grive rouge, and florina apples. The Divine apple tree was bred specifically for disease resistance. Because it has greater resistance to pests and disease, it needs fewer chemical applications for protection and is planned for organic production in the future. Apples are low in calories and high in healthy nutrients. An apple contains approximately 80 calories, along with vitamins and nutrients such as potassium and dietary fiber. 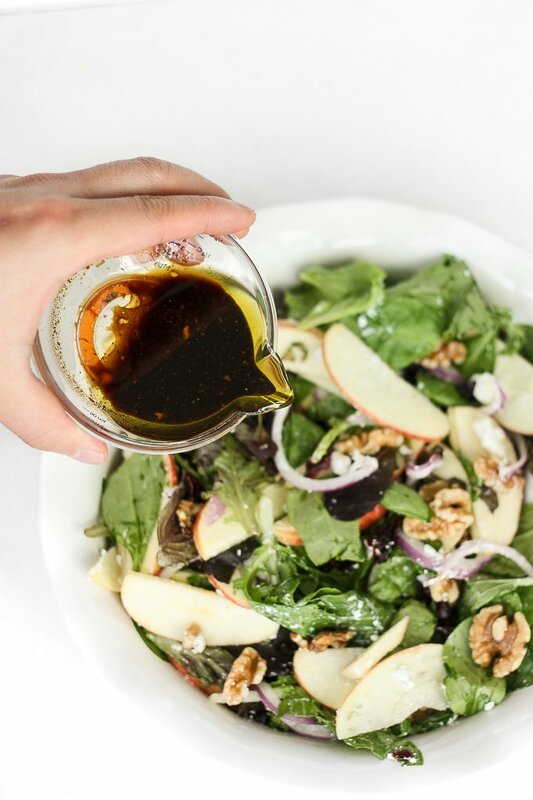 The flavor and texture of Divine apples flavor is best enjoyed when eaten fresh in salads or as a snack. Choose apples that are mature and firm, without bruises or decayed blemishes. They will keep much longer at colder temperatures, so store them in the refrigerator rather than on the counter. In fact, Divine apples' flavor develops over time, so they are even tastier after a few months of storage. Consumers and producers are demanding varieties of apples that are more sustainable and require fewer uses of resources such as fertilizers. The Divine apple is one response to this demand, and may soon be produced organically. Delbard Nurseries in France developed the Divine apple. They are primarily grown and marketed by Heartland Fruit in New Zealand. In the United States, they are available through Giumarra Wenatchee in Washington. Recipes that include Divine Apples. One is easiest, three is harder. 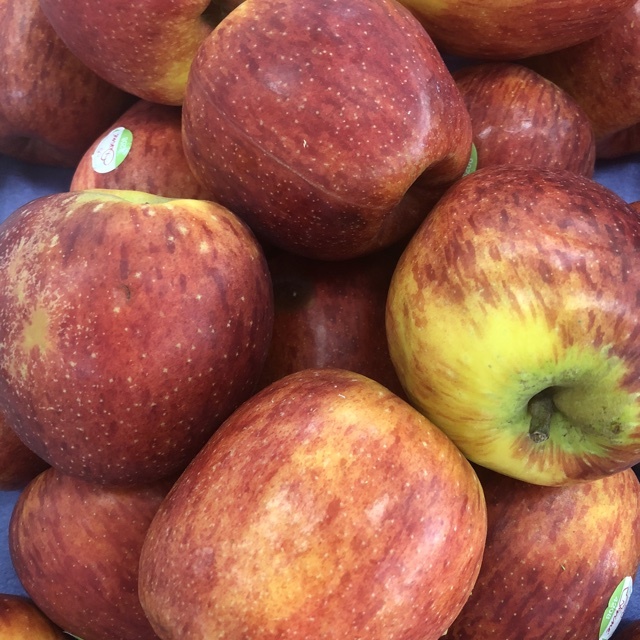 Someone shared Divine Apples using the Specialty Produce app for iPhone and Android. Sharer's comments : Divine Apples spotted at Clemons Produce.